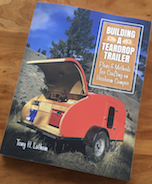 Teardrops n Tiny Travel Trailers • View topic - Where are you buying 1/8 birch? Where are you buying 1/8 birch? Called the local Home Depot and Menards and neither are able to get 1/8 birch plywood. I have a couple small lumberyards to check yet but I was curious where everyone was sourcing their 1/8 birch plywood? I’m in Iowa. Considering I’m going to cover it in Linex I’m wondering if I should consider a different material. Re: Where are you buying 1/8 birch? Hardwood lumber sellers. Places that cater to cabinet shops. You can check with cabinet shops but they will probably up the price. You don't say where in the world you are, so hard to offer specific. I find it at www.owlhardwood.com. Some googling of larger metropolitan areas near you should turn up a supplier. QueticoBill wrote: You don't say where in the world you are, so hard to offer specific. I find it at http://www.owlhardwood.com. Some googling of larger metropolitan areas near you should turn up a supplier. Southeast Iowa to be more specific but 2-3 hr drive to multiple metro hubs. I haven't started building yet and I'm not an accomplished wood worker but doing my research I was surprised (though I shouldn't have been) at the difference in quality between the box stores and the specialty suppliers, and the specialty guys are cheaper! The box stores aren't doing you any favours. I found one in St Louis and one in Dunlap IA. There should be one in Quad cities but I didnt find it. Try finding a custom cabinet or casework shop and ask where they order from. I wonder if there is a way to find out who imports it and whp their deslers are. 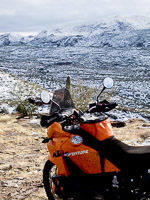 And some firms seem to ship anywhere, but probably eadier and less expensive to drive several hours. +1 on the woodworking shops. I've found this to be the place to go in both Dallas and Austin areas. A search for "Baltic birch southeast Iowa" turns up several possibilities to check. I go to the only lumber yard in town (that's three hours from the nearest box store) and tell them I need ten sheets of 1/8" BB. "It'll be here Thursday." When you ask if they have it, and they say no, ask if they can order it. soapcreek wrote: Called the local Home Depot and Menards and neither are able to get 1/8 birch plywood. I have a couple small lumberyards to check yet but I was curious where everyone was sourcing their 1/8 birch plywood? I’m in Iowa. Considering I’m going to cover it in Linex I’m wondering if I should consider a different material. Check and see if you have a Wurth Wood group in your area. I used "Cedar Creek Building Supplies", in 2013. On line I note a store in Des Moines. I had to, 1. visit "Big Box" store, make the deal ( with a manager) , 2. Pay "Big Box" store, 3. Go to Cedar Creek and provide receipt and load 1/8 birch. Not too difficult and big box only upped the price by 2 bucks a sheet. I ordered mine from Edensaw in Tacoma. They did a great job packing it for shipping via freight carrier. They’ll give you a good quote. Shipping isn’t free, but at least you’ll be using good materials on your build. Liberty Hardwoods in Ankeny, IA stocks 5x5 sheets and you can buy direct. I made the drive today to secure what I need. Thanks for the input all.